New features of AutoCAD 2010 is called a true technological breakthrough, which will please many millions of users of this software product.AutoCAD 2010 has a parameter, and now any changes between objects are supported by user defined relationship. This significantly reduces the time to make changes to projects.The emergence of tools to work with arbitrary shapes became possible to create and analyze the most complex three-dimensional objects. In addition, 3D printing is now supported, so it's easier to get prototypes and physical prototypes. 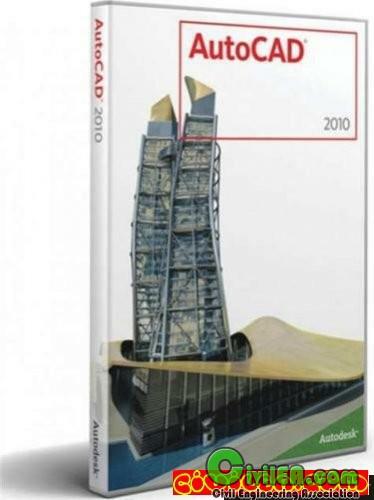 By popular demand of the international user community Autodesk (AUGI) in AutoCAD 2010 strengthened, with the format of PDF. PDF files can be used as a substrate, but also improve the quality of imports into PDF. This will facilitate data exchange between all interested parties in the project. A 32-bit AutoCAD cannot be installed on a 64-bit Windows operating system and vice-versa. A 64-bit AutoCAD cannot be installed on a 32-bit Windows operating system and vice-versa.